While many destinations experience fluctuations in tourism rates for a variety of reasons, from economic to political, Spain has had a steady influx of tourists in the last decade, with the exception of 2008 when the world was in the midst of the financial crisis. A total of 64,995,000 visitors were recorded in 2014, almost doubling the number of travelers in 1995, as indicated on a graph by The World Bank. 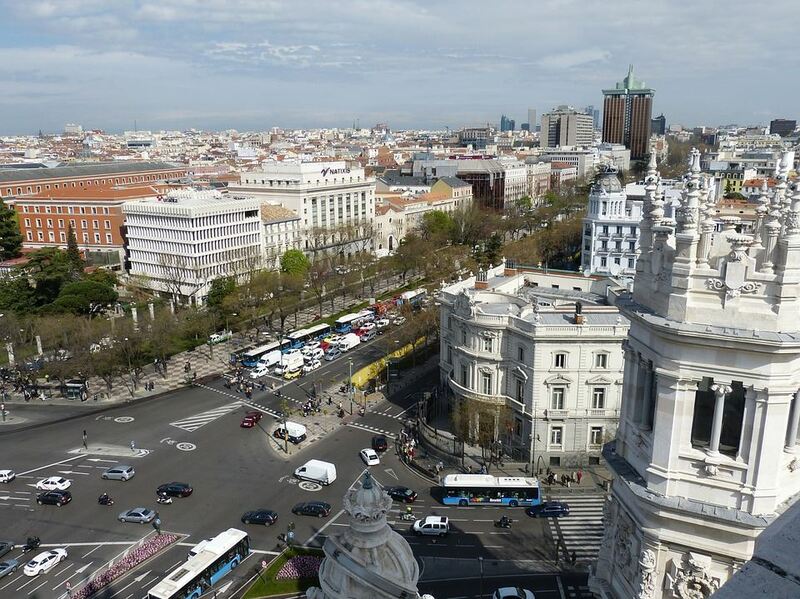 The majority of these holidaymakers visited the capital Madrid, with the city welcoming a 7.3 percent increase in travelers between 2013 and 2014, according to The Tourism Review, compared to the country as a whole, which only saw a 4.3 percent rise.In general, countries tend to find that their capitals receive the majority of incoming travelers, but why have people specifically flocked to Madrid when it receives just as much, or maybe less, media attention as hotspots like Ibiza and Magaluf? Madrid is home to many historical attractions, a world-famous football club, and some of the most beautiful architecture that dates back to the Spanish Golden Age. Plus, the city is overflowing with tapas bars, and for foodies, they will be well aware of how tapas has influenced many global trends in the culinary industry. So why not head on over a restaurant that is well versed in the inner makings of great tapa? Perhaps the growth in tourism can also be attributed to the advances in smartphone technology, which has increased the ease in which people travel now. From international hospitality networks like Couchsurfing and Airbnb to Madrid-specific travel guides and language translators; mobile Internet capabilities have enabled us to fulfill our wanderlust. Gaming developers have also tapped into the market by releasing travel-related games, such as Road Trip Scavenger Hunt and many other mainstream successes. Another example is the popular slots title Gonzo’s Quest, currently hosted on the online slots portal Pocket Fruity, where players embark on a journey with the Spanish explorer through the Amazon rain-forest in search of gold. Games such as these bring to the fore the essence of Madrid and the rest of Spain, giving travelers a taste of what the country has to offer. Evidently, a number of factors are at play here, though some worry about tourism percentages after the past summer saw exceptional statistics, as the Gulf News report an increase of thriftier solutions in terms of flights and accommodation. But its popularity as a holiday destination ensues as online travel agents observe more Brits booking trips this year to the Mediterranean country, so the forecast for tourism is rather promising.